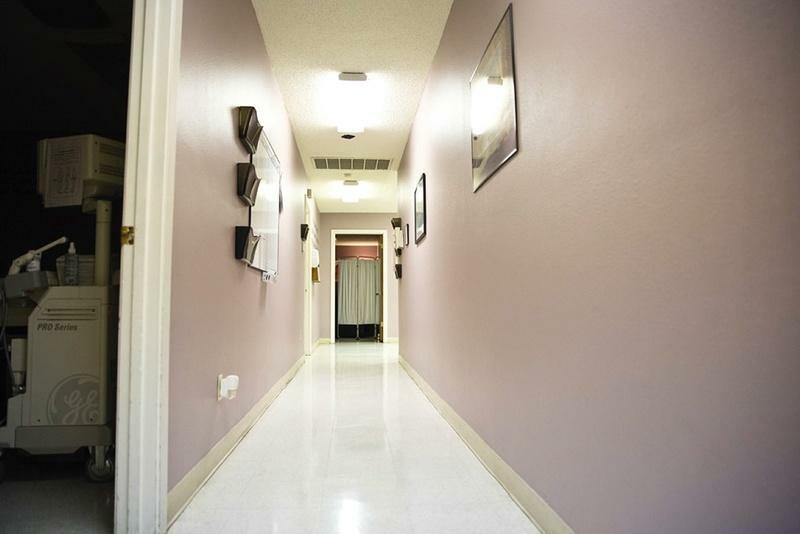 A hallway at the Whole Woman's Health clinic in Austin. Health care providers, funeral operators and women's rights activists on Thursday are expected to tell Texas health officials that a rule requiring the cremation or burial of fetal remains will do little to improve public health and could be burdensome to women who miscarry and those seeking abortions. Following outcry over the new requirements, which state health officials quietly proposed in July, the Texas Department of State Health Services will hold a public hearing on a rule change that would no longer allow abortion providers to dispose of fetal remains in sanitary landfills, instead allowing only cremation or interment of all remains — regardless of the period of gestation. The burial or cremation rule seems to also apply to miscarriages. With little notice and no announcement, the proposal was published in the Texas Register on July 1, triggering a 30-day public comment period. In a fundraising email sent to supporters last month, Gov. Greg Abbott said the rules were proposed because he didn't believe fetal remains should be "treated like medical waste and disposed of in landfills." But health care providers have raised questions about the new requirements and are likely to bring up those concerns at the hearing. 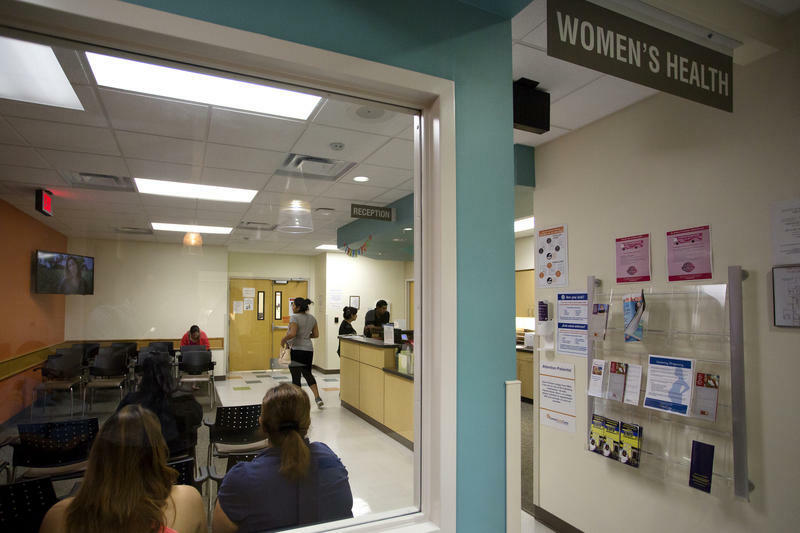 In a joint letter from the Texas Medical Association and the Texas Hospital Association, medical professionals questioned whether the rules were even feasible, when it comes miscarriages that occur outside a doctor’s office or hospital. “Would the rules, if adopted as proposed, require a woman who experiences a spontaneous miscarriage to carry the fetal tissue to a physician’s office or other health care setting for assessment?” they wrote, adding whether the state should consider exceptions for miscarriages and ectopic pregnancies or in cases where the fetal tissue weighs less than 350 grams. Because it is estimated that 10 percent to 15 percent of women miscarry, the medical professionals pointed out that one hospital estimated that an average of 140 fetal tissue specimens weighing less than 350 grams are disposed of each month from miscarriages or ectopic pregnancies, where “there is no hope of fetal viability” and fetal tissue is removed to save the mother’s life. Another concern that the medical professionals and others have mentioned is whether the new rules would trigger a requirement for death certificates so that fetal remains could be cremated or buried. It’s also unclear who would bear the costs associated with cremation or interment — a figure that can easily reach several thousand dollars in each case. And if a woman cannot or will not pay, “there is a significant impact, by current practice and law, that county government will pay for the disposition of the fetus,” said Jim Bates, director of the Funeral Consumers Alliance of Texas. In questioning the health-related justifications for the proposed rules, Planned Parenthood pointed out that the proposed rules treat fetal tissue differently than other medical tissue. The rule change would not apply to other human tissue that might be removed during surgery, for instance, and the existing disposal methods were not modified for the placenta, gestational sac and other tissue that results from miscarriages and abortions, the organization wrote to health officials. "While we support reasonable updates to rules that are within the department’s statutory authority and protect and enhance public health and safety," Planned Parenthood wrote, "the proposed rules go beyond the limits of this authority, do not further these aims and, in fact, appear motivated solely by political forces." Anti-abortion groups have applauded the rule change, echoing Abbott's statements that the remains should not be treated like medical waste. In its letter to health officials, the Center for Reproductive Rights — which represented abortion providers in their recent landmark victory over Texas’ 2013 abortion restrictions — argued that the rules are "plainly in violation" of the legal standard abortion regulations must meet to be deemed constitutional. That legal standard was clarified by the U.S. Supreme Court in its ruling overturning the 2013 abortion restrictions, which spelled out that lawmakers must prove that an abortion regulation furthers a state interest, like promoting health, without placing an undue burden on women’s access to the procedure to be constitutional. A spokesman for the Health and Human Services Commission, which proposed the rules on behalf of the health department, previously said they would "continue to follow state statute when proposing and implementing new rules." The state agency previously said it is adopting the rule through its “specific rulemaking authority” granted by the Legislature. The final rules are expected to take effect in September. The new rules, proposed by the Health and Human Services Commission, would no longer allow abortion providers to dispose of fetal remains in sanitary landfills, instead allowing only cremation or interment of all remains — regardless of the period of gestation. Abortion providers currently use third-party special waste disposal services. The U.S. Supreme Court ruled Monday that part of a 2013 Texas law restricting abortion procedures is "unconstitutional." House Bill 2 required doctors who perform abortions to have admitting privileges at a hospital within 30 miles. Each clinic also had to meet the standards of hospital surgical facilities. The law also banned abortions after 20 weeks of pregnancy and the abortion pill misoprostol. 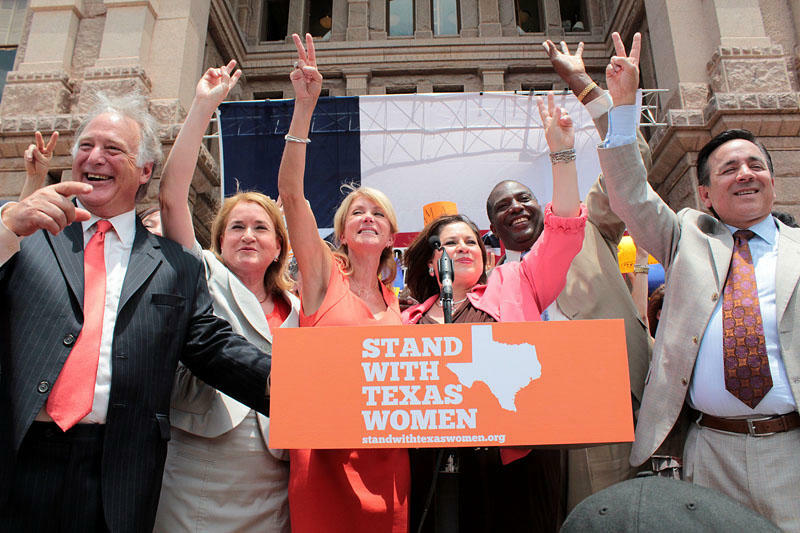 The law garnered national attention during former Sen. Wendy Davis’s 11-hour filibuster in June 2013. 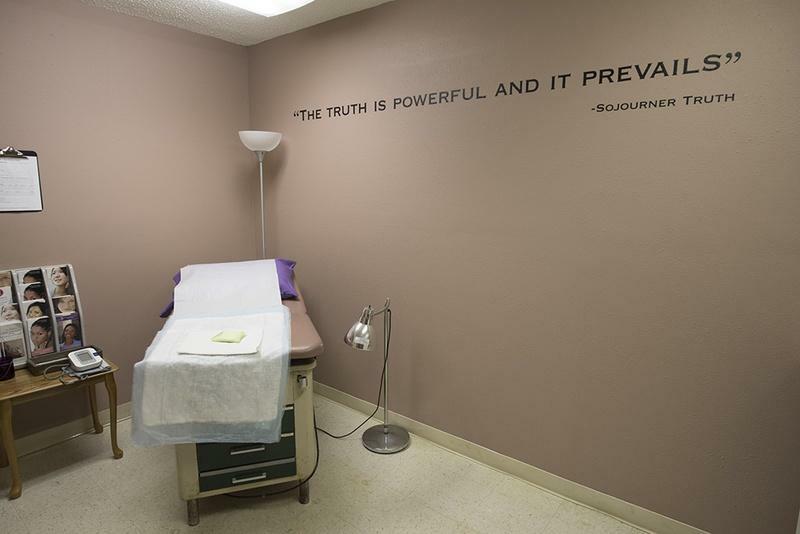 The ensuing court case, Whole Woman’s Health v. Hellerstedt, asked whether these new admitting privileges and ambulatory surgical center requirements on abortion providers within the state posed an “undue burden” on women. Last year a series of secretly taped and heavily edited videos were released showing Planned Parenthood officials appearing to discuss the sale of fetal tissue harvested from abortions. Those videos have since been discredited, but that hasn't stopped Republican leaders in the Texas Legislature from calling a series of hearings to review the state's rules for the use of fetal tissue. Believe it or not, Texas is not among a short list of states that prohibits fetal tissue research. 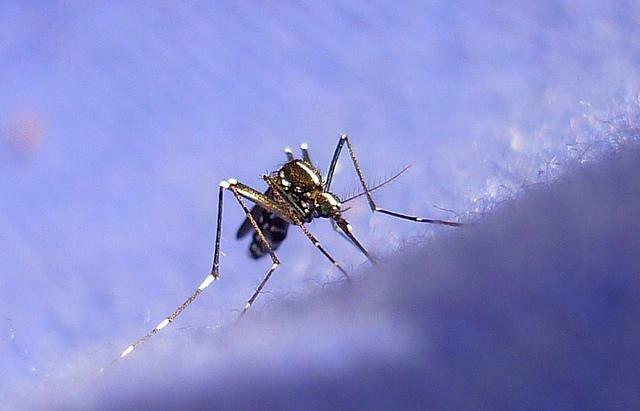 Advocates and researchers say that’s a good thing, because Texas is among a list of states that would be affected if the Zika virus makes it into the U.S. mosquito population.